Like just about all fishermen, John Edwards and Tom Herron compete for bragging rights whenever they’re on the water. But none could ever have imagined a scenario like the one that played out recently on the banks of the River Segre in Mequinenza, Spain. “He was running up and down the bank shouting, ‘Yes, yes, I’ve caught the biggest fish!’” Edwards told the Plymouth Herald. But before Edwards’ bragging had begun to wane, Herron hooked up, and an hour later he landed an albino catfish that weighed 221 pounds, giving him bragging rights, and presumably the record. Both catfish were massive, measuring 7 feet, 11 inches, and 8 feet, 1 inch, respectively. Albino catfish are not their own species of catfish, so there is no official world record for the lighter-colored fish. 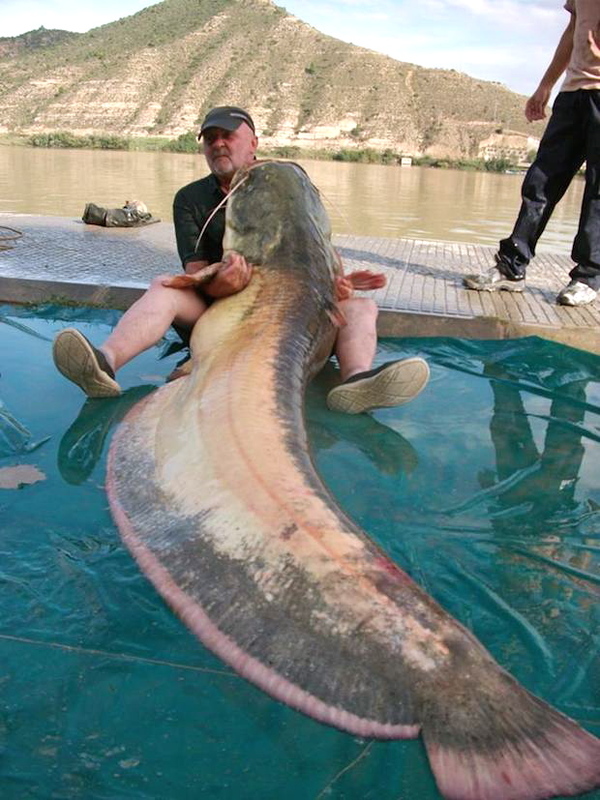 But fishing charter groups keep track of the larger catches of normal and albino Wels catfish–which are popular throughout Europe and not found in the U.S.–and a spokesman for the British-based CatMaster Tours, which booked the Edwards-Herron charter, said these were the largest ever caught. The incredible double-haul undoubtedly was accomplished thanks to a good measure of luck. But the anglers also were persistent. 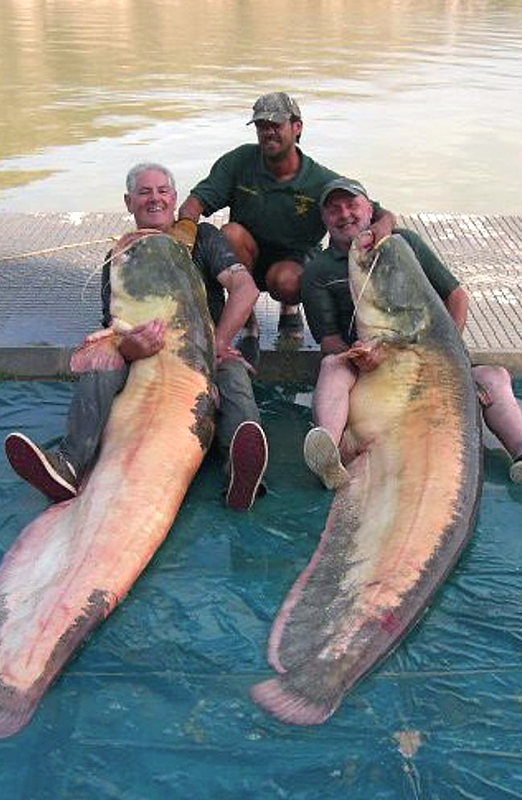 Edwards, 75, and Herron, 68, had been fishing for eight hours before the first of the mammoth catfish was caught, generating the day’s first exciting moments. Anthony Edwards, John’s son, also was present, and recalled the competitive atmosphere leading to the bookend catches.